If you’re like us, you’re deep into back-to-school shopping, but there’s probably one purchase you might not have thought of yet: children’s blue-light filtering glasses. Blue light from our computers, iPads, and every other device we have — especially at night — can cause serious eye strain, headaches, and even reduce your melatonin production so you don’t sleep as well. Kristen and I have been using these glasses with great results, so we were pretty excited to see that they’re now available in kids’ sizes. With lots of kids reading e-books on tablets, and completing online homework at night, these are a smart purchase. Related: Our 2018 Back to School Tech Guide: Audio backpacks! The bluwinx blue-light filtering glasses filter out the highest energy light that makes it all the way to the back of your retina, which is what causes eye strain. Hello, headaches after being on my laptop late at night. 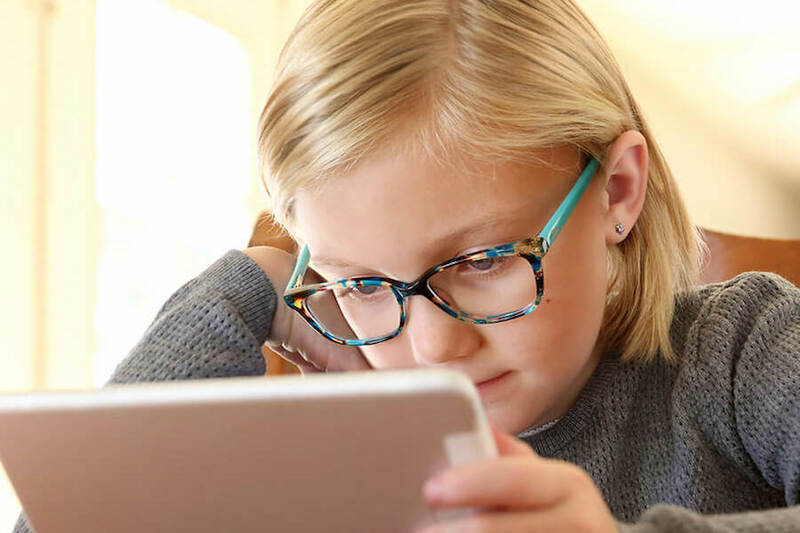 These glasses can give your kids less eye strain and a better night’s sleep, and they’re a stylish accessory too with a few designer options in the bunch. I’ll admit: these are pricey for kids. And while your kids who wear glasses might already have a blue-light filtering lenses (yes, they offer those now), there are plenty of kids who don’t wear glasses who could use the protection. In fact, schools in the Netherlands require them for all students. If you’ve noticed more anxiety, a harder time sleeping, and headaches after screen use in your kids, it might be worth the investment. Especially considering how much time they spend on their screens in class once school starts, and then again at home doing homework at night. Also, Fortnite. You can buy bluwinx blue-light filtering glasses — including designer brands for adults and teens — at their website now. We can’t wait to see the gaming glasses they’ll be releasing soon.